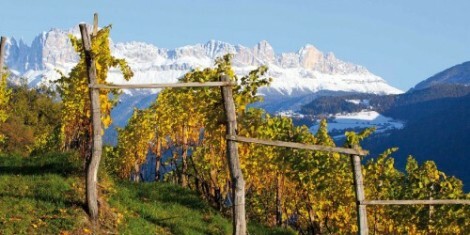 Alto Adige is the northern-most wine-producing region of Italy. Alto Adige has a predominantly German-speaking population, who know their province by the name of Sudtirol (South Tyrol in English). This is due to the region’s former status as part of the Austro-Hungarian Empire, from which it was reclaimed by Italy in 1919. Immersed in the Southern Alps, Alto Adige is bordered by Veneto to the east, Lombardy to the west and the Tirol region of Austria to the north. Stretching up to a latitude of 47 degrees north and altitudes of well over 10,000ft (3050m), Alto Adige is a region of topographical and climatic extremes. The region’s key vineyard zones trace the north-south path of the Adige river, and are planted on the valley floor and the slopes above, many of which are incredibly steep. The vast majority of wines produced in Alto Adige are covered by several DOC titles. The Alto Adige DOC, which covers the majority of wines made here, was granted in 1975 and is sub-divided to district and commune level, creating more than 30 possible provenance statements, each with Italian and German versions. Wine was made in this area even before the Romans arrived, and some evidence suggests production dates as far back as the Iron Age. It continued throughout the Middle Ages and advanced, as in Burgundy, Alsace and Switzerland, thanks to the devoted care and industry of monasteries. Most wine made here is produced by co-operatives, which, through the need for efficient harvesting, winemaking and marketing, have become known for consistent quality and reliable quantity. There is now a growing number of independent producers also making a good name for themselves. 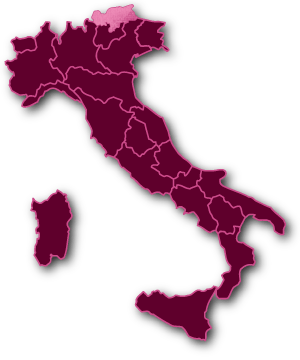 In addition to the dominant local varieties Schiava (Vernatsch in German) and Lagrein, the key wine grapes used in Alto Adige are a combination of Germanic varieties, which reflect its history as part of the Austro-Hungarian Empire, and ‘international’ varieties, mostly of French origin. The former category includes Muller-Thurgau and Gewurztraminer (although the Tramin village from which ‘Gewurz’ takes its name is actually located here in Alto Adige), while the latter is populated by increasing quantities of Pinot Noir, Sauvignon Blanc, Pinot Bianco and Pinot Grigio.